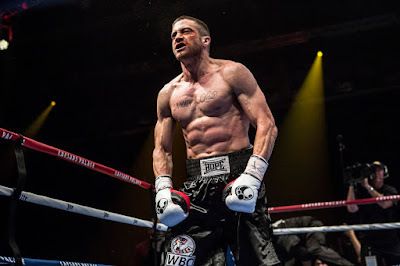 Jake Gyllenhaal gets intense and real boxer’s training from acclaimed director Antoine Fuqua (“Training Day”) in the upcoming sports drama “Southpaw” that tells the riveting story of Billy "The Great" Hope, reigning Light Heavyweight Boxing Champion of the World (Academy Award® nominee Jake Gyllenhaal). Billy Hope seemingly has it all with an impressive career, a beautiful and loving wife (Rachel McAdams), an adorable daughter (Oona Laurence) and a lavish lifestyle. When tragedy strikes and his lifelong manager and friend (Curtis "50 Cent" Jackson) leaves him behind, Hope hits rock bottom and turns to an unlikely savior at a run-down local gym: Tick Willis (Academy Award® winner Forest Whitaker), a retired fighter and trainer to the city's toughest amateur boxers. With his future riding on Tick's guidance and tenacity, Billy enters the hardest battle of his life as he struggles with redemption and to win back the trust of those he loves. On what makes Fuqua unique as a helmer of a boxing film, Claybon notes: “The difference is that Antoine knows boxing. He’s been in the ring, he’s boxed, he’s sparred. So if he sees something on the screen and it doesn’t look real, he’s able to catch it really fast. He has a quick eye on boxing.” Using Sutter’s script as a kick-off point, Gyllenhaal and Fuqua sought to create a seemingly real Billy Hope in tandem through a long period of patient, excruciating work. Gyllenhaal’s journey to embody his character didn’t just stop at the physical level. For him and Fuqua, entering into and understanding the mindset of a boxer was equally important in doing the justice to the script and role. “Most people think it’s all about the physical when it comes to boxing,” explains Claybon. “But mentally you’ve got to prepare yourself just like a real fight, and go out there and be able to establish a different type of style for each fight.” Along with the grueling training routine, there was also an immersion into the world of fighters taking place which was key to making Billy Hope come alive on screen, with the actor spending all of his time in the gym surrounded by professionals and ringside, observing match after match and even visiting world champion Floyd Mayweather’s training facility. 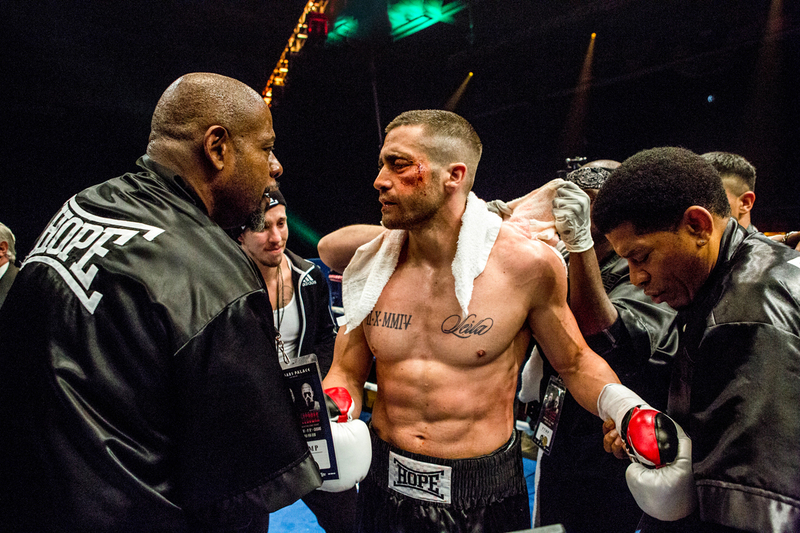 “Southpaw” opens July 22 in cinemas from Pioneer Films.